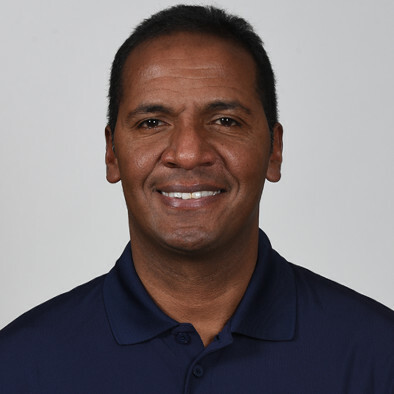 Carlos Llamosa is a Colombian-American who emigrated to the United States in 1991 after playing five years of professional soccer in his native Colombia. Once settled in the US, Llamosa began playing in the A-League for the New York Centaurs and Fever before being picked up in the 1997 MLS Supplemental Draft by DC United. He played 10 years in MLS and also accumulated 29 caps for the U.S. National Team between 1998-02. After retiring, Llamosa spent four years as an assistant coach at Chivas USA before joining the Cosmos on Feb. 7, 2013. Llamosa’s professional career began early in his native Colombia, at the age of 16. He spent his first three years in the Colombian third division with Colmena. In 1990, he moved to the first division side Huila. 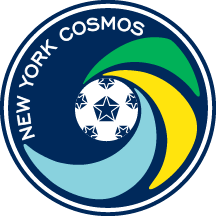 After moving to the United States, Llamosa took time off before joining the New York Centaurs of what was then the top soccer league in America. He played two seasons in New York, his second of which he was named to the All A-League First Team. In 1997, Llamosa was picked up by DC United in the MLS Supplemental Draft, after coach Bruce Arena scouted him in New York. Llamosa would end up playing four seasons in DC, scoring three goals in 73 appearances and earning an MLS Cup victory. Llamosa continued playing in MLS for another seven years with Miami Fusion, New England Revolution and Chivas USA, where he finished his playing career. Across all competitions with his MLS clubs, Llamosa made 144 appearances. Llamosa became a naturalized U.S. citizen on Oct. 23, 1998, and two weeks later made his debut for the United States National Team. The defender played a total of 29 matches with the U.S. between 1998 and 2002, including appearances in the 2002 World Cup victories over Portugal and Mexico. He also appeared in the 1999 Confederations Cup and 2002 World Cup qualifiers. Llamosa first joined the coaching ranks in 2010 as an assistant for Chivas USA. He spent three full seasons with the club before joining the Cosmos on Feb. 7, 2013. Llamosa holds a USSF A coaching license.